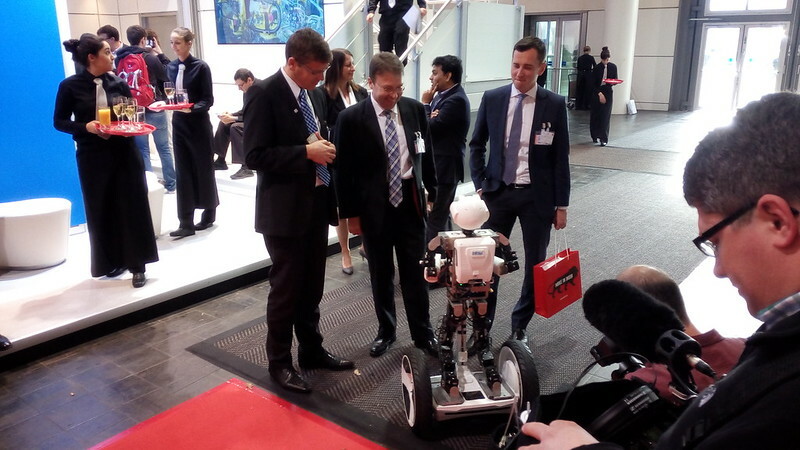 The robot is currently in Germany's Hanover faire at the Infosys stand meeting and greeting people. 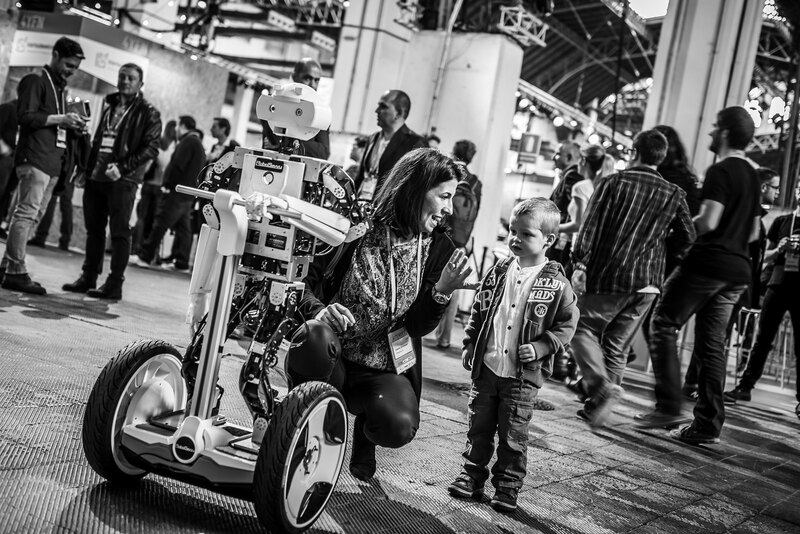 It is currently doing face recognition and welcoming people to the stand. It has an on-board i7 computer, 30+ Robotis servos, Segway style platform, oculus rift link to his head stereo cameras. He can read badges and recognized and categorize faces..